Is there a better alternative to LinearRegressionCalculator? Is LinearRegressionCalculator really the best app in Mathematics category? Will LinearRegressionCalculator work good on macOS 10.13.4? 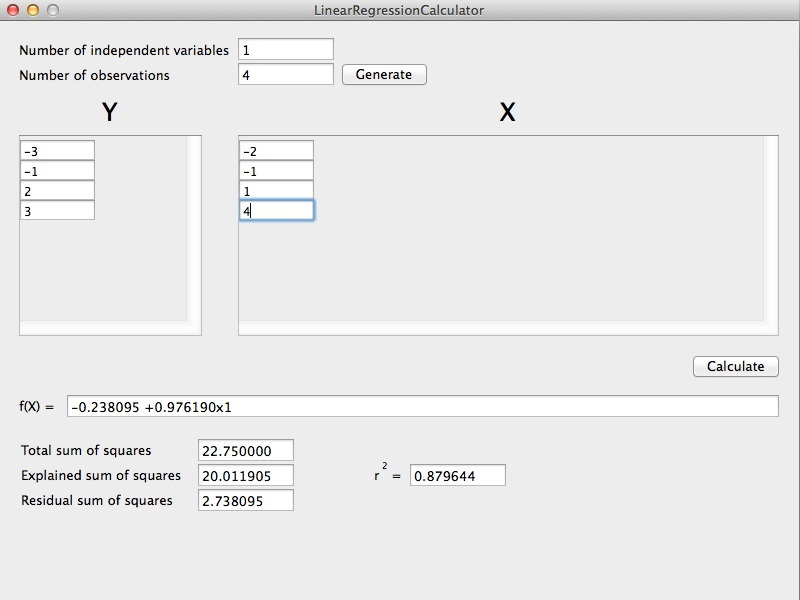 LinearRegressionCalculator is a lightweight calculator capable of performing regression analysis using the ordinary least squares method. The goal of this piece of software is to offer maximal usability while being as simple as possible. LinearRegressionCalculator needs a rating. Be the first to rate this app and get the discussion started!